Interacting with wearable computers is the most brutal UX challenge of all time. Today we explore the unforgiving hellscape that is controlling wearables. After a year in the Google Glass trenches, the future of the platform is getting sharper. It’s not fun, it’s not fashionable, but it will be fundamental. 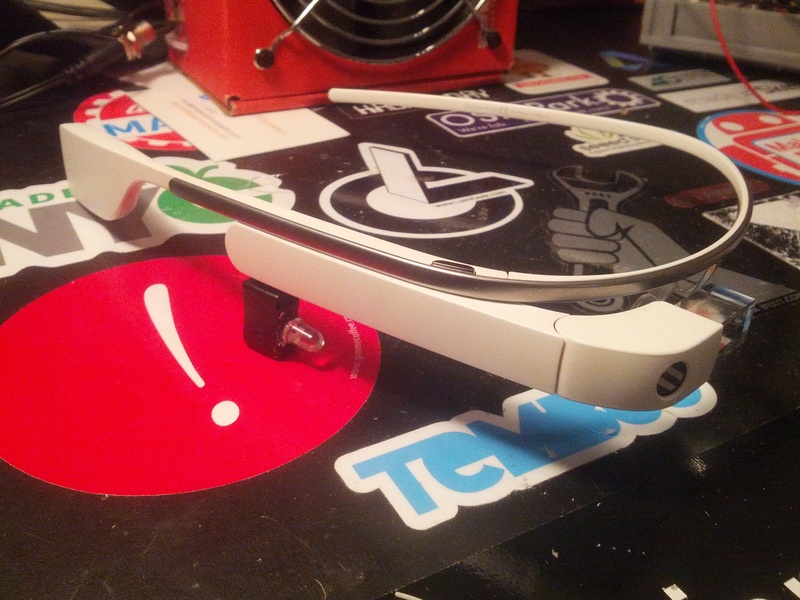 I built the prototype of what became the StickyBud accessory for Google Glass in three hours. Here’s the story. The more I use them, the more I realize I can do with them. Humanity is beginning to modify itself, and I’d like to inspire you to consider what we could be. 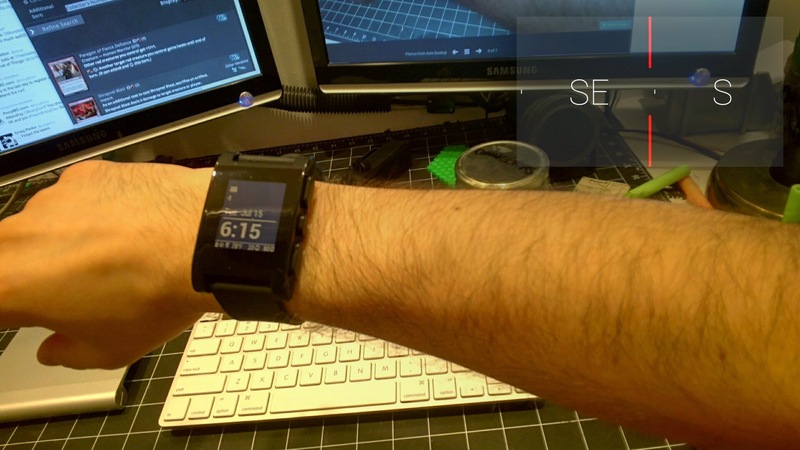 A smartwatch isn’t a HUD, and a heads-up display isn’t a watch. They might fight for media attention, but they sure don’t fight for utility. Here’s how two beats one. 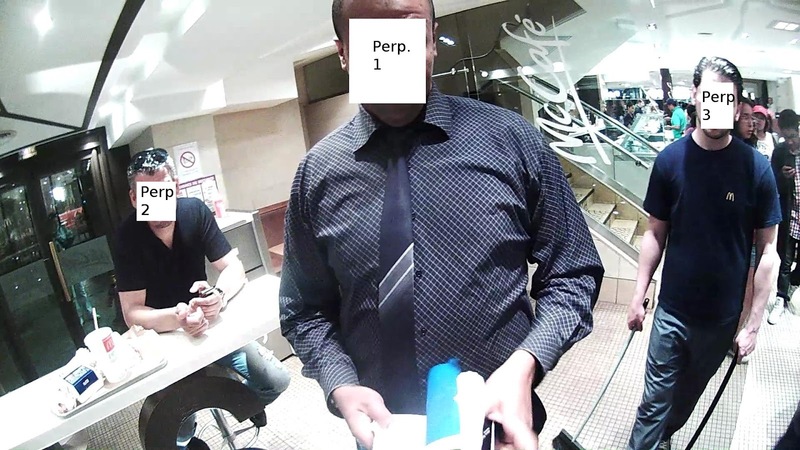 The masses have spoken – wearable cameras are terrifying. Why can’t we separate Glass from its most-feared feature? 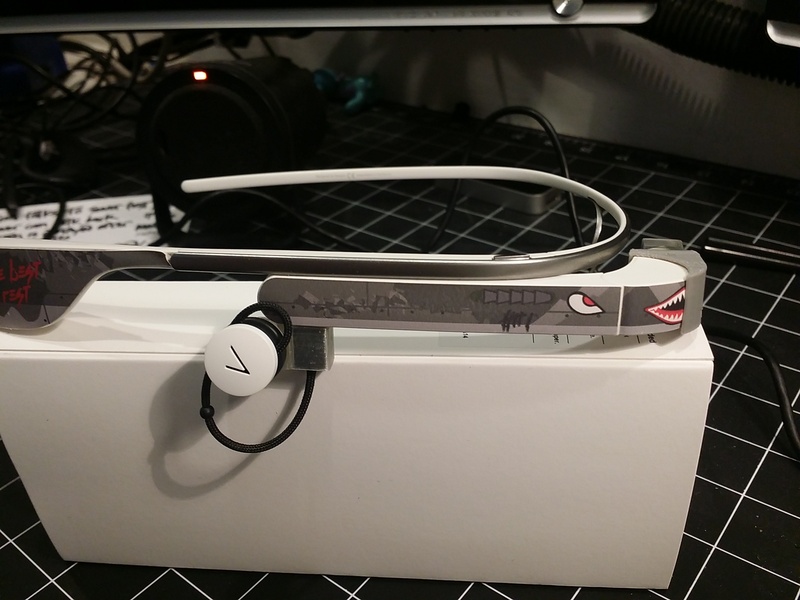 I’ve had my Google Glass for about ten days now, and I’m surprised to see a lack of hardware hacks for it! A user on the Glass-Explorers.com forum suggested a headlight, and I agree. 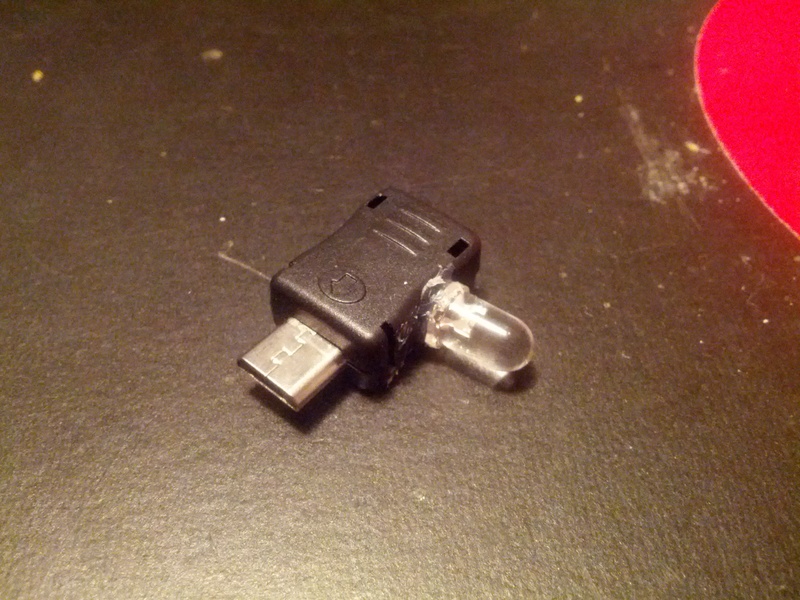 Presenting the Google Glass headlight dongle! To see it in action, check out this first-person demo video! The body is an Adafruit USB Shell (pinout here). Just connect pin 4 (ID/Sense) to pin 5 (GND), connect the anode of a high-efficiency LED to pin 1 (VCC), the cathode to an appropriate resistor, and the other end of the resistor to GND. I used a high-efficiency cool white LED with a forward voltage of 3.8V and Imax 15mA, so I used a 33Ω resistor. How does it work? 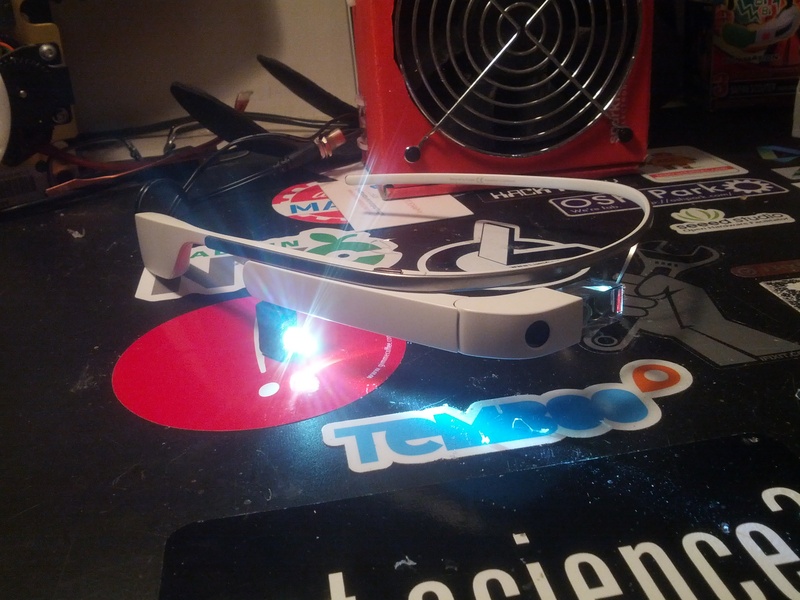 Connecting Sense to GND puts Google Glass into USB Host mode (yes, Glass does support USB OTG!) which causes the VCC line to output 5V instead of taking it. This powers the LED! No, there’s no way to turn it off yet, but this isn’t bad for a fifteen-minute proof of concept. Got a Glass and interested in getting your own headlight? Let me know in a comment! If there’s enough interest, I’ll build it into a simple product. At this point, it’s inevitable that Google Glass and similar wearable technology is coming to market. The new question is, what will we do with it? Here are five potential killer apps for a device that’s always on, always connected, and always available – without being obnoxious or violating trust. Financial Management. It’s surprising how few people actually know their financial situation, especially considering a tough economy. This can go two ways – check your bank balance and credit limits in real-time, or track your budget and see how a purchase can fit into it. The first is similar to the cash readout on, say, Grand Theft Auto and is easy to grok. The second could help prevent identity theft and create a financial ‘sixth sense’. The Time. A wearable like Google Glass can actually create new meanings of time. A task clock that resets when check off a task or leave your seat can gently remind you to stay focused and take breaks. A world clock that shows the time at the last place you mentioned can help you respect your global contacts. These can sync to a logging application to passively assemble a timeline of your life. Foursquare/Yelp. Location-based social networks are massively superior to communication-based media on Google Glass. You can see ‘echoes’ of friends as you pass venues, find and flag undiscovered gems, catch ‘whiffs’ of reviews as you wander aimlessly, and capture reminders and mementos without being that guy with the camera Instagramming his food. Calendar and To-Do. Remembering your priorities, keeping an eye on the clock, and maintaining your to-do list are mentally taxing and just plain tedious. Google Glass will handle the heavy lifting, leaving you to focus on the task at hand and the pleasure of checking one off. Simply showing the time until your next appointment and your next to-do item is enough to isolate you from distraction. Wearables are really, really good at getting you organized – that’s why modern videogames put a quest arrow, waypoint, and objective on the HUD. News Ticker. This is the double-edged sword of Google Glass. A news ticker needs the motherlode of finesse to avoid tearing the user’s brain apart with distraction. If done properly, though, the user will be utterly up-to-the-minute without wasting time browsing RSS feeds, loaded with breaking stories, hyperlocal updates, industry bulletins, and all the other raw material to be a fascinating conversationalist and ultra-informed expert. Perhaps most importantly, this is the only place to insert ads and marketing material. You’ll notice that these killer apps are almost all non-interactive text. 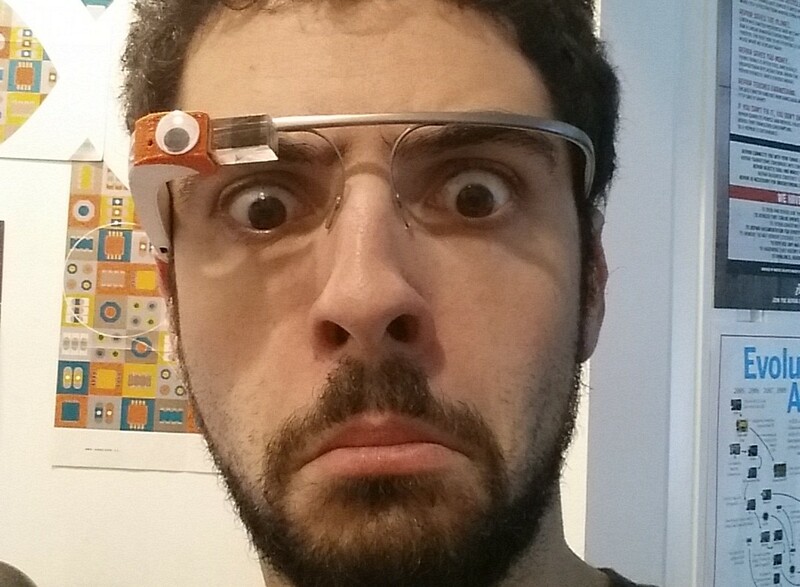 Wearables, especially Google Glass, don’t have a lot of screen real estate to display elaborate chrome or pictures. Limited controls also mean limited onscreen widgets. The UX paradigm of wearables is totally different than that of a smartphone – think ahead to keep your business and skills relevant in the wearable future! Last afternoon in Paris, University of Toronto professor Dr. Steve Mann became perhaps the first victim of cyborg bigotry. While eating with his family at the Champs-Elysees McDonalds, Dr. Mann was accosted by three employees. In front of Mrs. Mann and her children, the uniformed men destroyed his property, ate his food, attempted to pry off his implants, and manhandled him onto the street. Unless I’m very much mistaken, this is the first account of an unprovoked assault on an augmented human. Dr. Mann has inadvertently become something of a cyborg Rosa Parks, and how his case plays out will set precedents and draw lines in the sand. Without a doubt, the McDonalds employees were bizarrely violent and will be fired like any employees who assault customers. The interesting part is why they did it. Dr. Mann’s setup isn’t Google Glass-style wearable computing, and it isn’t Accelerando-style augmented reality. His is a sousveillance or personal-vision device, purpose-built to capture and broadcast point-of-view video. His assailants knew this – after all, they read his ‘doctor’s note’. What worried them, and what will inevitably convict them, was that they and their restaurant were recorded, transmitted, broadcast, critiqued semi-automatically. On one hand, Dr. Mann got detailed first-person video, or at least high-resolution pictures, of the entire incident, which will ensure justice. On the other hand, the assailants clearly were not comfortable being monitored. Although the law is on Dr. Mann’s side, and the taping was legal, doing so is not in good taste. His altercation, free to proliferate on the Internet, rapidly incited a virtual lynch mob on Reddit, held at bay only by Dr. Mann’s smart decision to block his assailants’ distinguishing features. 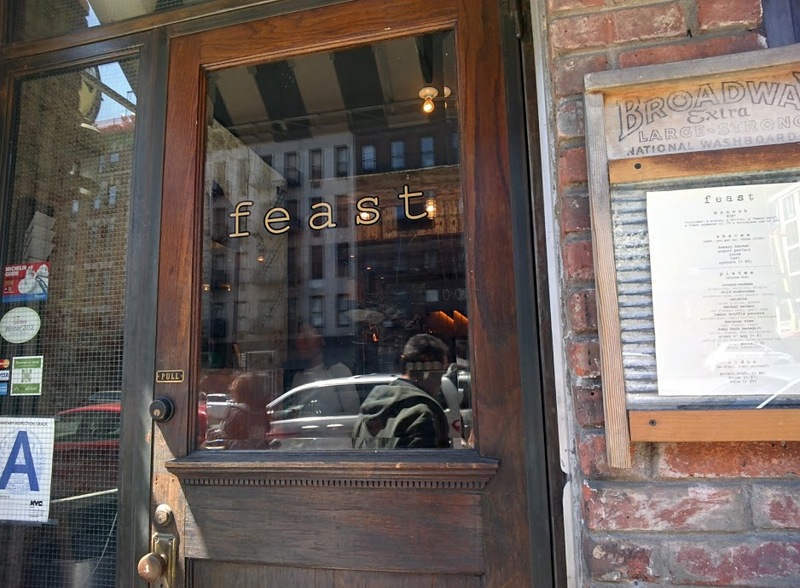 Fans wasted no time in digging up as much contact information about the restaurant, and its employees, as possible. So what to make of this? As usual, the future will march on. If the market demands that wearables be camera-enabled, then physical privacy will vaporize as inevitably as music protection. It will be unstoppable the same was as texting while driving is unstoppable. No justice system can handle ubiquity. Perhaps in the near future, malfeasance of all types will be dispersed as readily as Dr. Mann’s story. But the other side of the story still stands. People value their privacy, regardless of the relentless technological march. If technology like Mann’s becomes commonplace, clashes like Mann’s will rise as well. Cyborg racism will ignite on Capitol Hill as well as bars, restaurants, buses, and anywhere people once expected to avoid remote judgment. My only hope is that as stories like begin to break, cyborgs share Dr. Mann’s foresight, letting systematic law, not virtual lynch mobs, enforce justice. We must remember that it takes more than evidence to convict – all the first-person crime video in the world is a liability in the hands of vigilantes fueled by righteous anger. The cyborg transition from mobile technology to wearable technology is actually a transition between heads-down and heads-up. It’s a question of whether the device demands your attention, or whether it’s willing to share. Think of it like this – suppose you arrive early to a train, grab a coffee, and take a seat in the mezzanine. The woman sitting next to you looks familiar; you realize she’s a college friend you haven’t seen in years and start a conversation. You get caught up as you reminisce… and forget how long you’ve been talking. You pull your phone out, unlock it, find your calendar… lose track of the conversation and listlessly ‘uh-huh’ along… and you still have fifteen minutes. You shut off your phone and awkwardly grind back into conversation, breaking it again ten minutes later as you check once more. This is heads-down technology. No matter what you’re doing, your senses and mind get subsumed to perform the most minor task. You ignore the real to deal with the virtual. It’s rude and intrusive. Now, rewind to that point where you lost track of time, except your phone is dead. Mid-conversation, you look over your friend’s shoulder and see a timetable on the wall. Your train leaves in fifteen minutes. You choke coffee when your friend tells you she’s marrying your old roommate. Welcome back to heads-up. There’s no divide between the technology and the environment – they’re one and the same. Your attention can flow smoothly between and through them. Information is available while you can act on it. In the former example, heads-down technology pulled you away, but in the latter, it actually helped you stay in the moment. We complain about people texting in restaurants, about being trapped in front of e-mail, about spending nights in front of the TV instead of with friends, about the general disconnection in today’s world. No one’s disconnected, they’re trapped by heads-down technology. We want our tech, but it demands our attention utterly. This is the promise of wearable technology. It’s not a computer that chains you to a desk. It’s not a smartphone that connects you with far-away friends but alienates those nearby. You get the connection without being disconnected. You can live in the real and act in the virtual at the same time. You become mindful.